Product is made of natural coconut with colorful decoration done over it. Size of the product: As it is made of a coconut, it comes in varied sizes. Specially used in Indian weddings, these decorative shrifals are adorned with high quality laces, stones and motifs. 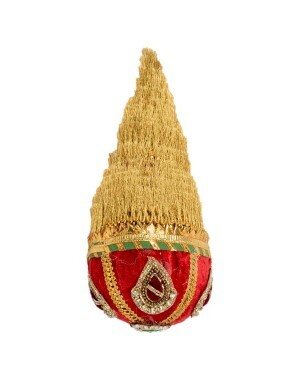 They are mostly used along with the kalash to represent the purna-kumbh. They are specifically designed by hand by authentic artisans to give it an elegant appeal.